First impressions matter and the Hotel Schweizerhof Bern pulls them off with ease. Once you’re past its imposing sandstone facade (one of the most recognizable in Bern’s cityscape), it’s the sleek but welcoming interiors by designer Maria Vafiadis that will win you over. A Grande Dame she may be, but the Hotel Schweizerhof Bern’s interiors are as contemporary as they come, blending history and tradition for one of the best looking hotels this side of Bern. Vestiges of the hotel’s history are everywhere, from the wood-panelled lift to the Art Nouveau-style furniture in the corridors, but the general atmosphere is modern. Hunker down in the plush black velvet Egg chairs in the Cigar Lounge, or head up to the Sky Terrace where the city’s up- and-comers go to shoot the breeze and you’ll get the picture. And then there is the spa…the wonderful, futuristic spa, which is a cavern of relaxation with its pamper pool, sauna, treatment rooms, and relaxation areas with waterbeds. 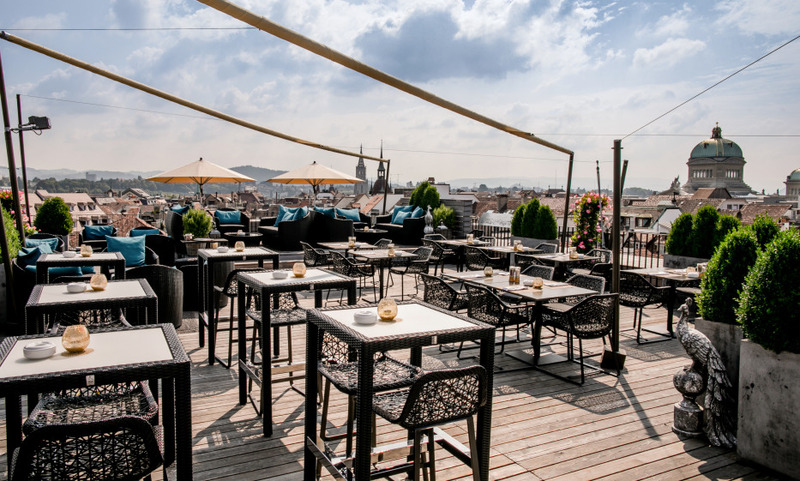 For glorious views over the Swiss parliament, the rooftop bar is the place to be while the Michelin-starred Jack's Brasserie serves the best wiener schnitzel in town. At Hotel Schweizerhof Bern, moments become memories. Be pampered at the Spa on 500 square metres with pamper pool, sauna and hammam facilities, as well as fitness and treatment rooms. Try a dinner at Jack’s Brasserie, a market-fresh brasserie-style cuisine and the famous Wiener-Schnitzel (14-Gault-Millau points). Do not miss the Sky Terrace with its breathtaking 360° panoramic view over the city.